Logon Tables, designed by Andreas Storiko, can be linked to create endless table configurations by linking intermediate and corner elements. 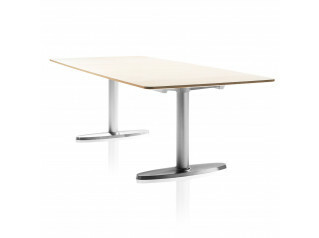 As an individual table, Logon 620 Table is also available with castors. Logon Table Frame is available in die-cast aluminium, bright chrome plated, polished or coated black or silver, satin finish. Aluminium profile uprights, clear anodized or coated; coated black for bright chrome plated foot section. The die-cast aluminium table-top bearer can be coated in either silver satin finish or black, depending on foot section version. 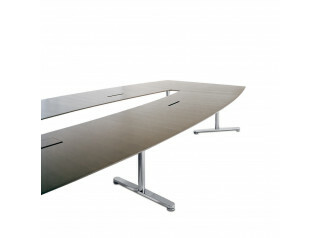 The Logon table tops are available in laminated, veneered or linoleum versions. 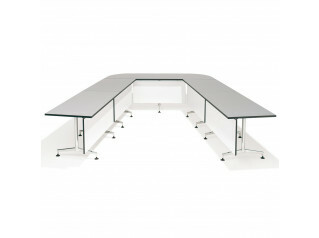 Logon Tables can be used either in meeting rooms or in large-scale conference layouts due to its modular characteristics. 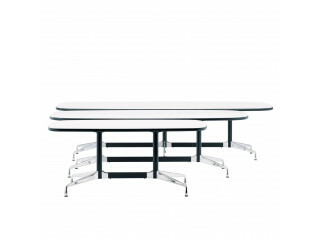 Upon request modular panels can be added to the Logon 620 Table Range. You are requesting a price for the "Logon Tables"
To create a new project and add "Logon Tables" to it please click the button below. To add "Logon Tables" to an existing project please select below.